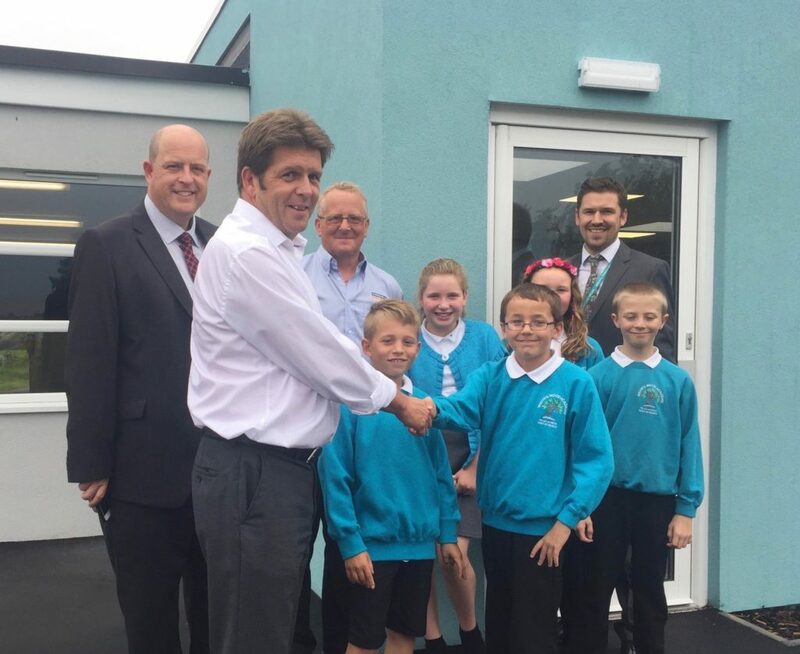 Construction company Robert Woodhead Ltd has completed a £295,000 classroom extension and refurbishment project in just nine weeks at White’s Wood Academy in Gainsborough. Woodhead began on site in June and completed in just nine weeks over the summer period, giving the school an opportunity to create a further 40 more school places. With such a tight time period, the only way to complete the level of work required in time for the start of the new term, was to work with a pre-fabricated modular building – which had to be craned into place on site, with the children of White’s Wood Academy looking on. Site Manager, Pat Richmond, said: “It’s been lovely being on site at White’s Wood Academy. Early on in the build I participated in an assembly with all the children, and they really grilled me on the project – I was really impressed with all their questions. In order to connect the existing building to the brand new classroom, an infill room was built, which has created an intervention room and new entrance. Within the existing building Woodhead also converted an existing boys’ toilet into an adult male toilet and reduced the size of an existing classroom to allow construction of a new corridor. The project at White’s Wood Academy was procured through the empa framework which is managed by Scape Group and helps public sector organisations save time and money on construction projects.